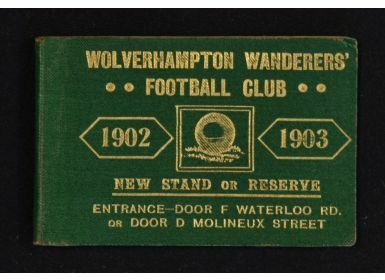 Very scarce 1902/03 Wolverhampton Wanderers season ticket complete with fixture lists, 3 match tickets still intact, instructions are for “the tickets to be torn out in presence of the Checker”. 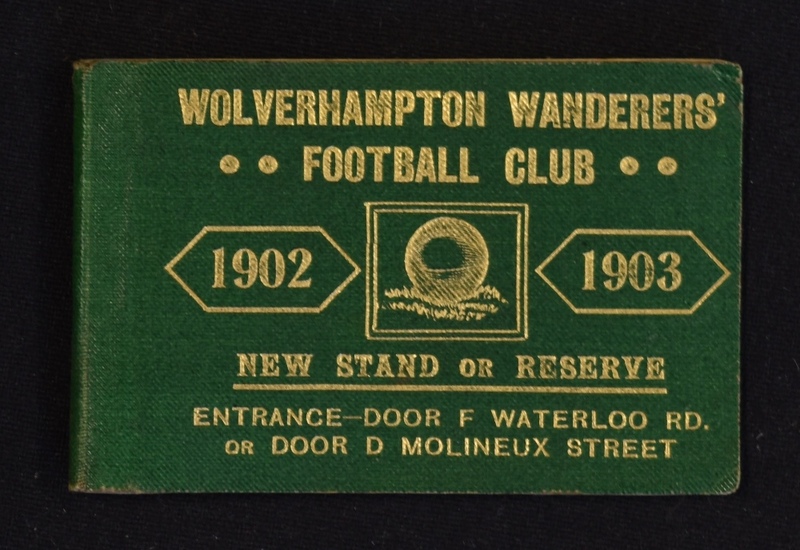 Entrance to the New Stand by Waterloo Road or Molineux Street. Good.